It’s is the Saturday before Mother’s Day and we have friends popping over for brunch. In my world brunch means a collection of yummy snack-able sized morsels, hot beverages and long drawn out conversations. I am consistently short on time and big on ideas. My grand plans are usually pared down as time trickles down. This morning I decided that quiche, salad and apple crumble tarts were what I could successful tackle. Thankfully, I can depend on Tenderflake tart and pie shells to help me out in kitchen. In an hour I was able to whip up my menu with kid prep help and my DH as chief dishwasher. Let the pie crust sit at room temperature for 15 mins, pricked the base of the crust with fork five times, then popped the crust in the oven at 400 degrees for 15 minutes. In a bowl, mix together: eggs, cherry tomatoes, green onions, heavy cream and homo milk. Pour mixture into pre-cooked pie shell. 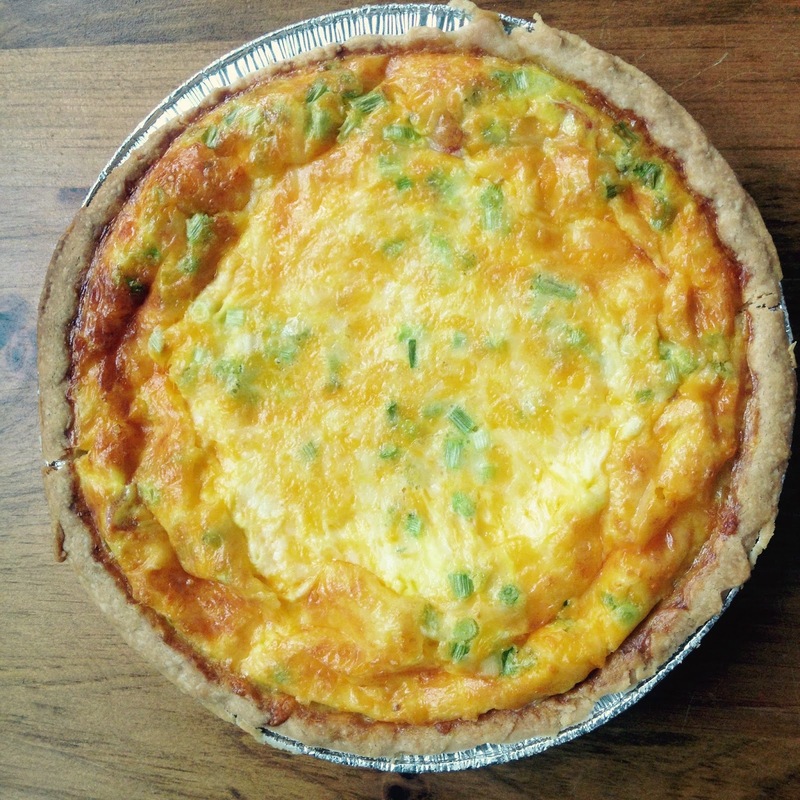 Spread shredded cheese over quiche and cook for 20 minutes at 400 degrees. Let the tart shells sit at room temperature for 15 mins, pricked the base each of the tart shells with fork, then popped the crust in the oven at 400 degrees for 15 minutes. In a microwaves safe bowl, mix together: apples, butter, brown sugar, white sugar, cinnamon, nutmeg, ginger and vanilla. Microwave the mixture on high for two minutes, stir again, and microwave for another two minutes. Spoon the apple mixture, including butter liquid into each pre-cooked tart shell evenly. 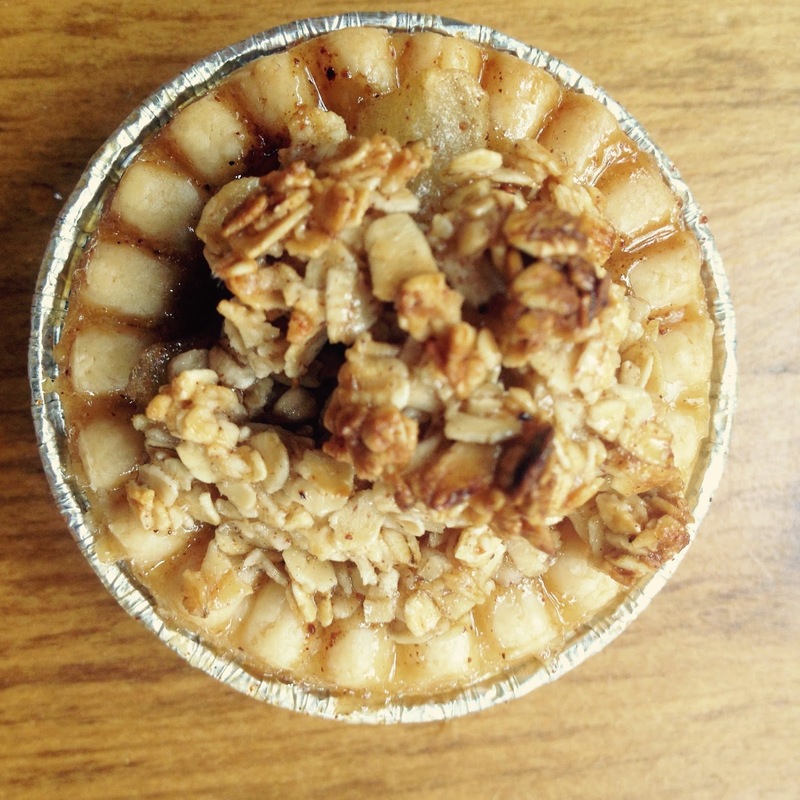 Ensure the tarts are filled to the top of the tart shell. Using the apple mixture bowl, add 1/2 cup of quick oats and 1/4 cup of salted butter. Mix the ingredients together and spoon evenly into each tart. Each tart will be slightly overfilled. I want to give you the opportunity to use the same fabulous Tenederflake products that I have this weekend. I am giving on lucky reader the chance to win 5 free Tenderflake product coupons. I will contact the winner Monday, May 18th 2015. The coupons will be mailed to the winners mailing address. To enter: Tell me what your favourite dish, savoury or sweet, is to make with Tenderflake products? *I was compensated for this post, however the recipe and opinions are my own.